Get a FREE Cooking with Sun Oven Recipe DVD! Sign up to receive a FREE DVD. The free DVD will only be shipped to addresses in the United States. 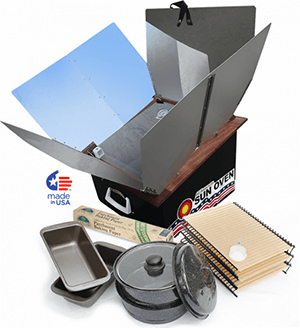 Sun ovens are often inexpensive, cost nothing to operate, and are an environmentally sound way of cooking food since they do not require fuel or wood. You can learn the best techniques for cooking with a sun oven with this free DVD.